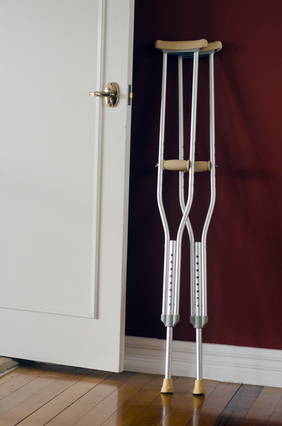 Serious household injuries are more common than one might think. In fact, more than 10 million individuals every year visit the emergency room as a result of injuries occurring on their residential property. These residential injuries account for more than 6 million or more insurance claims every year, where victims are seeking financial recompense for their medical expenses, lost time away from work, pain, suffering, mental anxiety and other types of damages and losses. 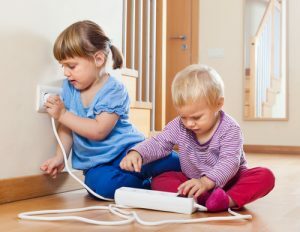 The most common forms of household injuries involve slip and fall accidents, drug overdoses, backyard drownings, electrical burns and dog attacks. 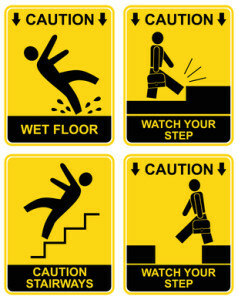 Many residents and visitors are injured every year in slip and fall accidents by falling from ladders, falling downstairs and slipping on spilled liquids and slippery surfaces. Every year, hundreds of thousands of individuals suffer serious injuries in accidents that occur on public and private property. 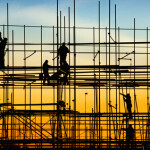 In many of these cases, problems with premises liability arise concerning the building’s design, construction and compliance with complex local, state and national building codes. Building codes are essential to designing and constructing safe buildings and facilities. These minimum standards must be followed to create a safe environment for occupants and visitors. There are building codes for every facet of construction from the foundation to the rooftop. The codes regulate materials, components, design and building practices to ensure the durability and safety of the structure and its systems including mechanical, electrical and plumbing. Additionally, building codes involve the installation of the buildings fire sprinklers, energy uses, emergency escapes, ADA compliance, exit signs, smoke detectors, elevators and accessibility. In addition to establishing building codes, the state also takes various means to enforce the codes and punish violators. Common violations often involve structural defects, missing exit signs, dangerous stairways, leaky gas fittings, faulty electrical wiring, malfunctioning sprinkler systems and absent emergency lighting. In recent decades, America has become a lawsuit-crazy society. The greater increase in assets and earning power, the more at risk we become than the greater the need we have to protect ourselves. 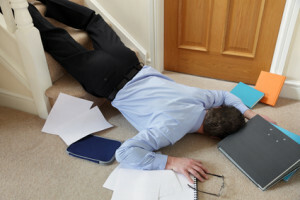 Many households, property owners and companies become targets of lawsuits and claims for compensation by anything that happens at home or at work. As a result, many of us purchase umbrella insurance coverage to protect ourselves against litigation. But exactly how does umbrella insurance coverage protect defendants in a personal injury case? Nearly all of us purchase a homeowner’s insurance policy as an effective tool for safeguarding our property that can be damaged by wind, fire, flooding or natural disaster. However, the policy may not provide coverage or only minimal coverage in any event where an individual suffers injury on the premises. This means if visitors at home suffer injuries from a trip and fall or swimming pool accident, the policy will likely cover the injury claim. The efforts of three teenagers attempting to steal metal rods from a local construction company ended in tragedy on Thursday, August 21, 2014. Brick and concrete panels weighing up to 34,000 pounds fell unexpectedly, pinning one of the teenagers under the collapsed wall in the south suburban business yard. Authorities say the teen died at the scene of the accident. The office of the Cook County medical examiner identified the 16-year-old youth as Dallas Harden from Alsip. The resulting autopsy indicated that the teenager’s death was the result of multiple crushing injuries caused by the collapsing concrete wall. The death of the youth has been ruled an accident by the county corner. Negligence is a very confusing term for most people because it often comes with the false connotation of intent. In many cases, a party can be negligent even though it had the best intentions in mind. Defining negligence is synonymous with fault, because people often make mistakes or do things that were not intended, but are still responsible whenever those actions result in negative consequences. 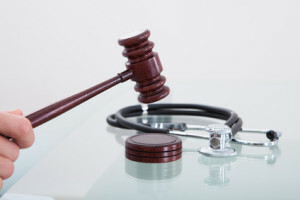 This understanding of negligence is very important when considering a personal injury lawsuit because the entire case will rest on proving that the defendant was the negligent party— or the one at fault for the accident, injuries or damages. When arguing negligence, the terms “breach of care” and “duty of care” are introduced when determining fault. 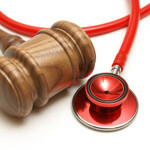 Duty of care often makes people think of medical malpractice cases where the doctor failed to meet his duty of care or deviated from the standard of care. This applies to all aspects of tort law and the duty of care is defined as what is expected from the defendant under the circumstances present at the time of the alleged injury or damage. Property owners have the duty of care to make sure that their grounds are free of hazards that will cause trips, slips, falls and other injuries, dog owners have the duty of care to ensure that their pets do not attack other people and drivers have the duty of care to follow applicable traffic laws and to make efforts to avoid collisions. With the cold weather showing no signs of relenting, many homeowners are turning towards propane tanks to provide some additional heat. Similarly, many people haul propane tanks around during warmer months as they connect them to their gas grills. However, the use of propane tanks does come with additional risk. In order to ensure that everyone uses their propane tanks safely, there are a few safety reminders and facts to clear up. One of the largest misconceptions of propane use is the fact that it might be prone to exploding. If you hit your propane tank with your car, your lawnmower, or if they simply fall over, you are not going to have an immediate explosion on your hands. 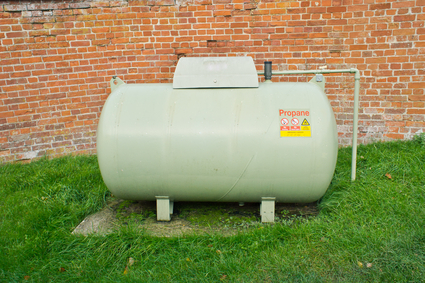 While it is certainly important to handle your propane tank in a safe manner, causing it to explode is much more difficult than most people assume. 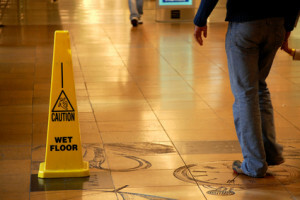 Suffering an injury on another individual’s premises can be a liability issue for the property owner, according to Illinois negligence law. A lawsuit for financial recompense can be filed when the injury in house occurred when visiting another home, or while a tenant is paying rent to the homeowner. Legally accountable individuals include the property owner and/or manager taking care of the property. With shows like “Treehouse Masters” amassing popularity in American culture, many adults are turning the backyard into the playground of their fantasies. Treehouses and trampolines are ever-popular with children and adults. While putting a trampoline in the backyard may seem like a great idea to get the kids out of the house, adults may want to think twice before investing in them. Your homeowners insurance policy may not provide coverage for injuries that result from the use of trampolines or treehouses. Make sure that you discuss coverage options with your insurance agent before you spend thousands of dollars on a new trampoline or treehouse. About three percent of all American households have a trampoline. Insurance corporations spend over $280 million to provide treatment for those who suffer injuries on trampolines. Because of these statistics, homeowners are facing greater difficulty in securing insurance coverage for trampolines at affordable rates.